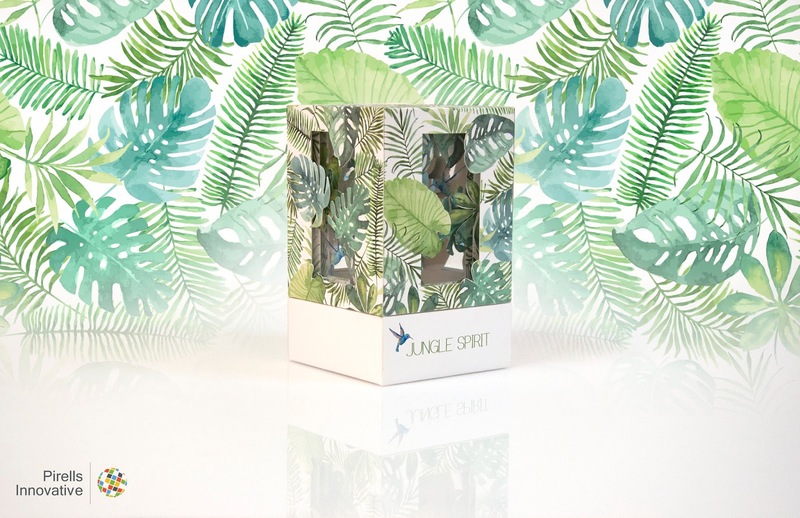 Wildness, desire and undiscovered places are key factors that inspired us to create this packaging. 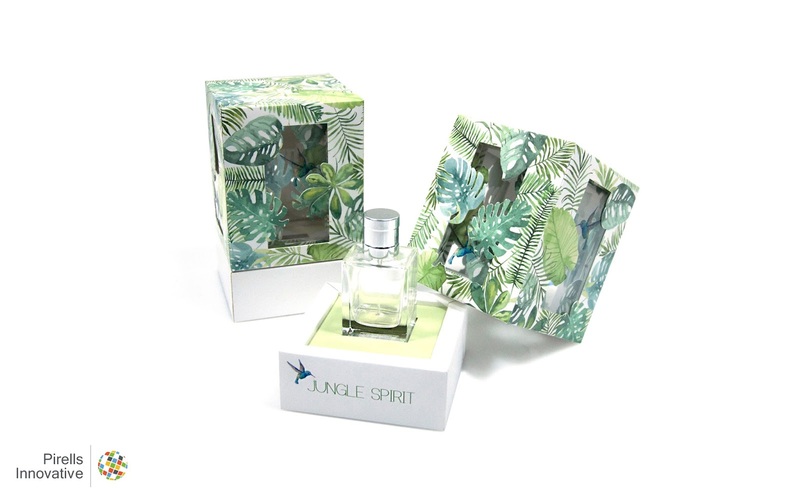 Wild jungle hides sensual beauty of this scent which discovers the unknown. 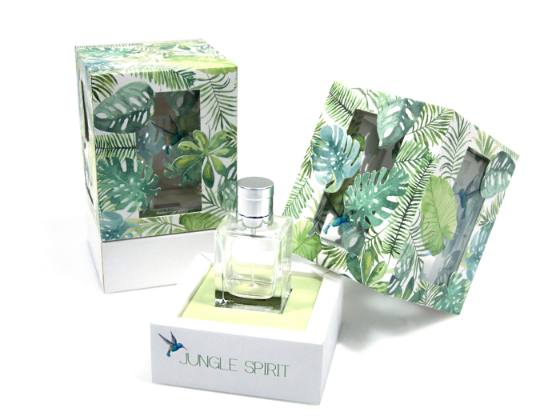 The pack was supposed to presents those features of the scent – it was supposed to combine nature with its wild, hidden mystery. Using several layers allows to see the shape of the bottle inside – but it’s not visible from the first moment. At the beginning we see only tangled leafs. This was the idea – product was supposed to be mysterious and unobtainable. Pack was printed digitally on Tintoretto Gesso 300g. 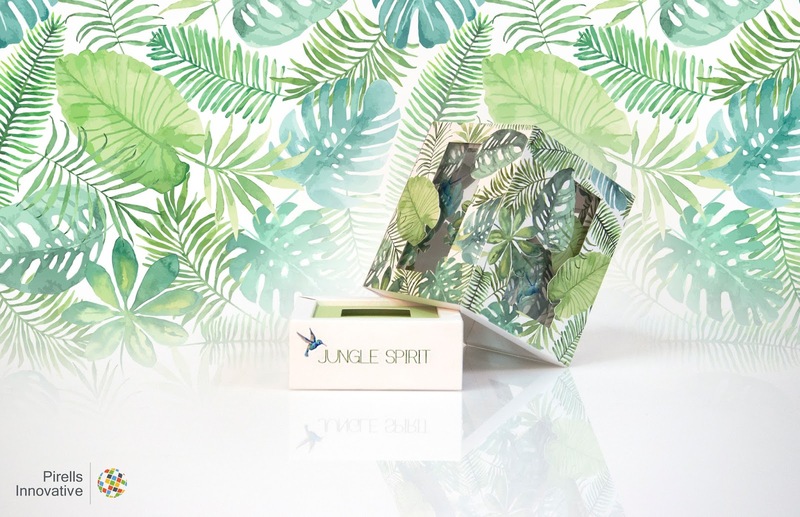 This paper imitates handmade paper which adds the natural touch to the project. Magnets used in the packs are used for opening and closing the pack.